The external auditor has now completed their review of the Annual Governance and Accountability Return (AGAR) for Darley Dale Town Council. The final report and certificate can be found below. Darley Dale Town Council as a public body is responsible for its own finances. It is required to make arrangements for the proper administration of its financial affairs and to ensure that one of its officers has this responsibility. The officer whose job it is to oversee the finances of the Council is referred to as the Responsible Financial Officer (RFO). Darley Dale Town Council has combined the role of RFO with that of the Town Clerk. The Council must work within a legal framework that is specified within the Accounts and Audit Regulations and it must ensure that its business is conducted in accordance with the law and proper standards. Good governance, accountability and transparency are essential and a cornerstone to improving public services. The Council must ensure that public money is safeguarded, properly accounted for and used economically, efficiently and effectively. PKF Littlejohn are the Council's appointed External Auditors with effect from the 2018/2019 audit for a fixed five year period. 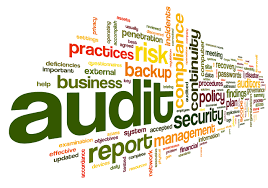 The Audit Commission will continue to monitor the performance of the external auditors assessing the quality of their work and ensuring they carry it out in compliance with their statutory obligations. Darley Dale Town Council is also required to appoint an Internal Auditor who will monitor and review the arrangements in place to ensure the proper conduct and effectiveness of its financial affairs. The Council must have an adequate system of internal control and risk management. This review is an integral part of continually improving governance and accountability. The Council is required to publicly report the outcome of the review of its accounts and also to make its accounting statements and other documents available for public inspection. The Precept is that element of your Council Tax that is paid to Darley Dale Town Council. Every year, the Town Council draws up budgets and calculates how much money it needs for the next Financial Year. These are usually finalised at the January Full Council meeting and then submitted to Derbyshire Dales District Council. DDDC co-ordinate the other demands from DCC, Police and themselves and come up with the rate to be paid from 1st April that year. During the winter months the Town Council meet a number of times to discuss and decide the budget for the forthcoming financial year .The Finance and General Purposes committee meet to discuss the needs and wants for the Town Council , and then recommend a draft budget to the Full Town Council. At the January meeting of the Town Council all members are again afforded the opportunity to propose revisions to the budget , once agreed it is passed as a resolution and the District Council are then notified of the amount required as the precept. The financial regulations govern the conduct of the financial transactions of the Council and may only be amended or varied by resolution of the Council. 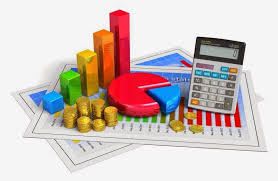 The Town Council's accounting year runs from 1 April to 31 March. The Annual Return comprises a 6 page document that must be presented to the Full Town Council for formal approval before it is submitted to the external auditor by 30th of June each year. The independent internal auditor is also required to sign the Annual Return. The Annual Return is sent to the external auditor with a variety of supporting documentation, which varies from year to year depending on the specific request of the external auditor. However, the supporting documentation normally includes copies of end of year bank statements and all reports made by the internal auditor, and often insurance policy details, asset and property registers, copies of governance documentation (council rules), risk management schedules and copies of minutes for some specific items. 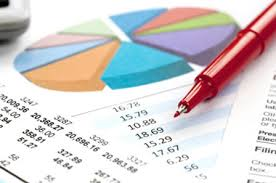 Upon receipt, the external auditor will examines the Annual Return and its supporting documentation. The external auditor will then complete section 3 (of the 6 page Annual Return) 'the External auditor's certificate and opinion and return it to the Town Council. The Town Council is required to display the fully completed (6 page) Annual Return, with an accompanying notice that advises local electors how they can view the Annual Return. The Notice (and the Return) is available to view in the office at the Whitworth Centre and a copy is available on line. XHTML 1.0 validated. WCAG compliant. Page generated in 0.0597 seconds.